A new year means a new opportunity to put into practice all those good habits you keep promising to stick to—like keeping a journal, for instance. Journalling has actually been proved to do wonders for your health, and it can keep your creative juices flowing too, as well as giving you an archive of memories to look back on. Here are the best mobile apps for getting your thoughts down. Perhaps the most high-profile journaling app out there right now, Day One has grown from very simple and minimalist beginnings to offer a host of features today: cloud-based back up and syncing, IFTTT support, private-key encryption, and Markdown compatibility. Everything that made Day One such a hit in the first place is still here, including a gorgeous-looking interface, options to auto-capture weather and location data, and post categories, plus support for photos and maps, and there’s also a Mac app to make use of. Journey is a fantastic-looking diary app for Android (and Android Wear) that you can also get at from desktop and laptop computers thanks to their own apps. Photos, locations, memories and more can be recorded for posterity, and everything’s intuitively laid out. The extras you can get as in-app purchases include a night mode and Markdown support, but there’s more than enough here for free users too, including automatic weather logging. Perhaps the closest thing you can get to Day One if you’re on an Android device. Momento takes a more automated approach to daily journaling, so it’s suitable if you’d rather have a log of what you were up to, rather than a place to express your deepest thoughts and feelings—although there is the opportunity to do that, should you want to. It’s able to pull in posts from your social networks as well as photos and videos from your phone, so it’s a good option if a lot of your life is on Twitter or Facebook anyway. Some pro features, including an app lock and extra social network features, require in-app purchases. 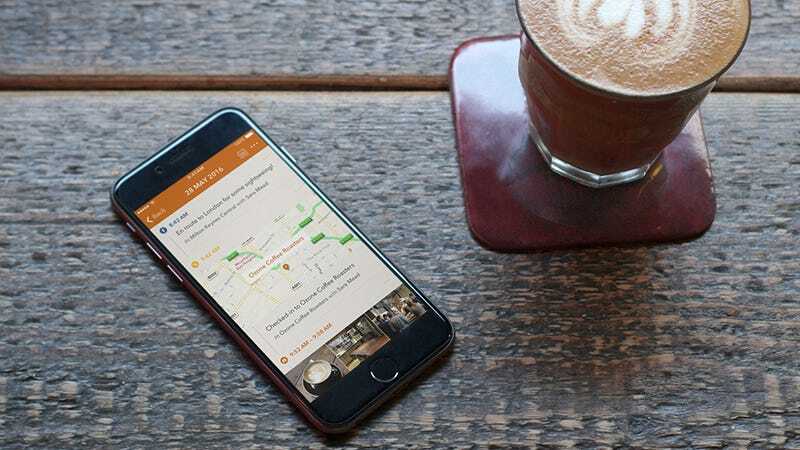 Few journaling apps are as comprehensive and feature-packed as Penzu, and the Android and iOS apps are complemented by a web interface you can log into from anywhere. Extra features, like advanced security and additional customizations, are available for a fee. All the basic stuff is free though, letting you jot down thoughts, attach photos, sort posts into categories and more besides. You can password-protect your journal if you want to and the apps work offline too, which is handy if you’re trekking through the wilderness. Like Penzu, Diaro works across Android, iOS and the web, so it’s suitable for those of you who spend a lot of time hopping between devices. While it lacks some of the features and aesthetic appeal of some of its rivals, it’s got everything you need to get journaling. Of particular note is the speedy search function—helping you pull up memories and nostalgia in a snap—and the option to sort posts via folder or tag. Dropbox syncing support is included as an in-app purchase which also removes the advert embeds.